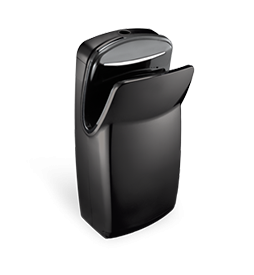 Save up to 90 % of electricity with each hand drying. This thrifty hand dryer saves both your money and the environment compared to standard dryers or paper towels. We help you to save. 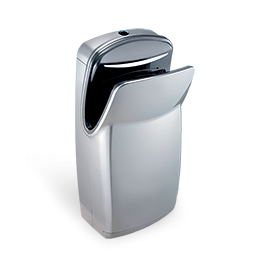 Our hand dryers have up to 90 % lower electricity consumption than standard dryers, the savings are even greater if compared with paper towels. Thanks to the collecting tray, water does not drip on the floor. You do not lose time with regular topping up of the paper towels and cleaning the mess around the bins. 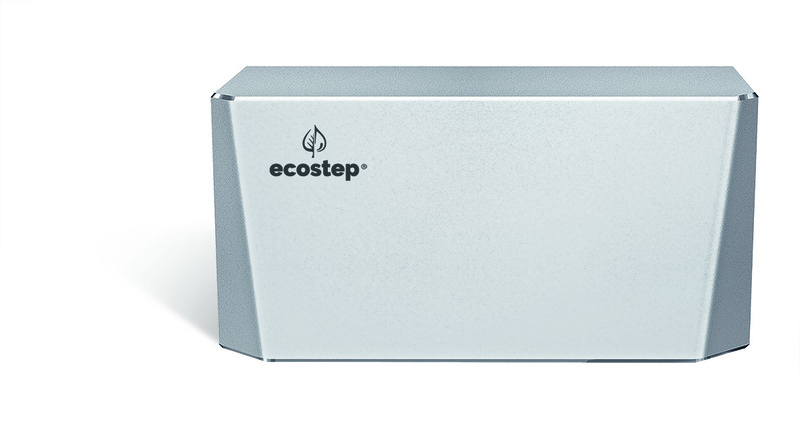 The EcoStep-R1 hand dryer has won the HACCP certificate. It has an antibacterial finish and is equipped with a HEPA filter, which eliminates 99.9 % of bacteria from the atmosphere. 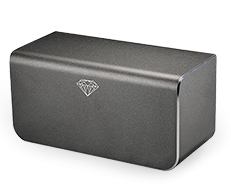 The money-saving hand dryer featuring a modern digital motor will reduce your electricity cost. It has the lowest consumption on the market – up to 90 % lower than standard dryers. Thanks to its antibacterial finish, it has won the HACCP certificate. 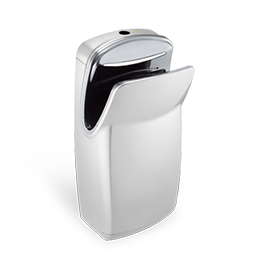 We supply this smallest and most efficient hand dryer on the market in two colours: dark grey and silver. 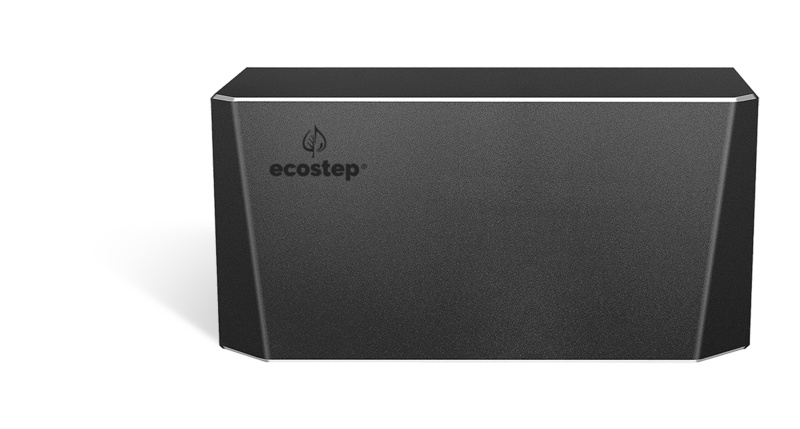 EcoStep-R4 dries hands in 10–12 seconds and consumes 85 % less electricity than standard hand dryers . It is covered by an extra long warranty period: 5 years or 3 000 hours of activity. We trust our hand dryers and we guarantee their problem-free operation for 7 years or 5000 hours in the case of the R4 model and 5 years or 1 million uses in the case of R1..